PreSonus is now shipping Universal Control 1.5, the latest version of its control-panel software for FireStudio-series interfaces and StudioLive-series mixers. 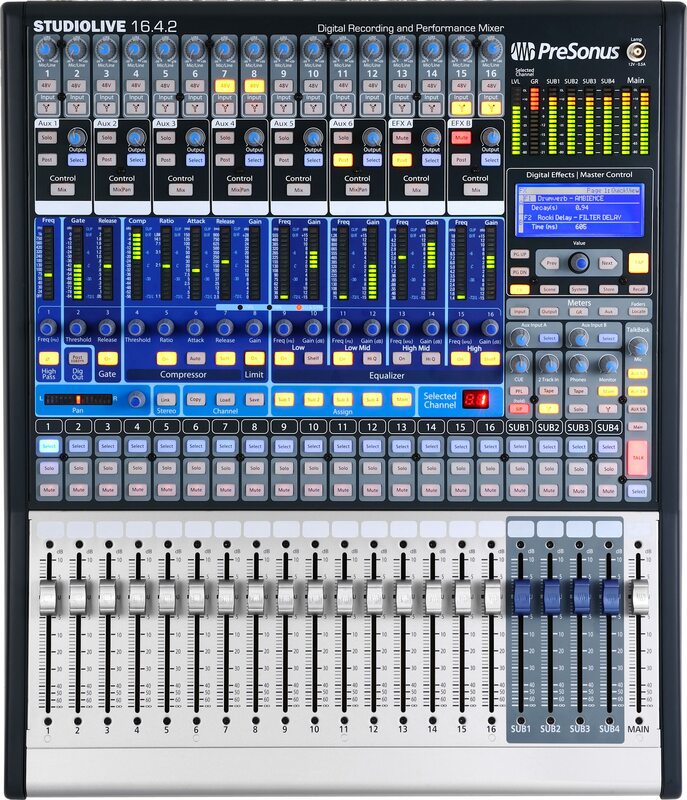 The new version features a free firmware update for the StudioLive 16.4.2 digital mixer adds extra signal-processing power to all StudioLive 16.4.2 mixers currently in use. AUX FLIP MODE. Each Aux on the StudioLive 16.4.2 now has sends from Aux inputs A and B, the FXA and FXB returns, the Tape In, and the main FireWire return from the computer. As with the StudioLive 24.4.2, this mode is accessed by pressing the Aux Mix buttons twice. For users who wish to update their StudioLive 16.4.2 Fat Channel to reflect the additional sends, PreSonus will have an Aux Flip Mode overlay sticker available through its Web store and its international distributors. The sticker will be available for a nominal shipping and handling charge. This firmware update is field upgradeable. VSL now offers a split scrolling view on the Fat Channel tab so you can scroll through either input channels or the Fat Channel. VSL now offers collapsible auxes, allowing full fader view on lower-resolution screens. 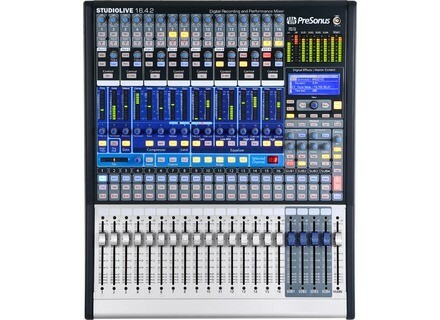 For more information, check out presonus.com. [Musikmesse] AKG BBB Dfive AKG designed the dedicated BBB Dfive, developed in cooperation with the Beatbox Battle network, to cater specifically to the needs of beatboxers. [Musikmesse] KRK 12sHO & 12s KRK Systems debut two new powered subwoofers, the KRK12sHO and KRK12s, at Musikmesse 2011 (Hall 6, Stand C52). [Musikmesse] NIIO Analog Iotine Core The Iotine Core is multi-layer sound processor, an analog mixing tool designed to shape sound for a recording or live environment.